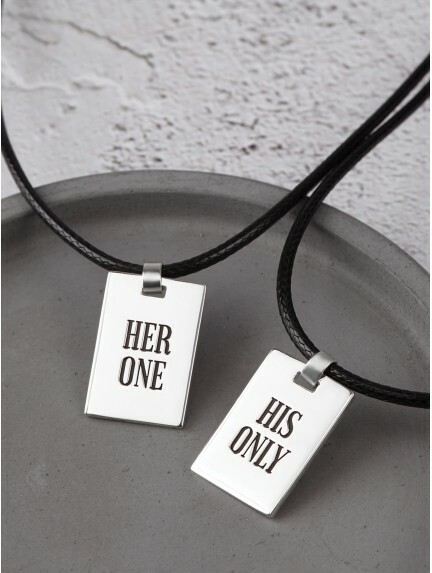 His and hers necklaces, crafted in modern, clean lines. 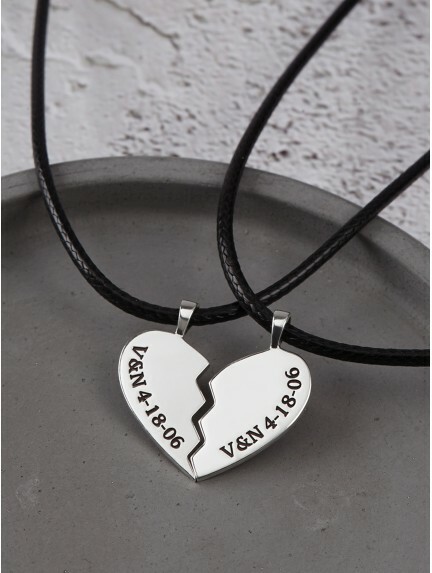 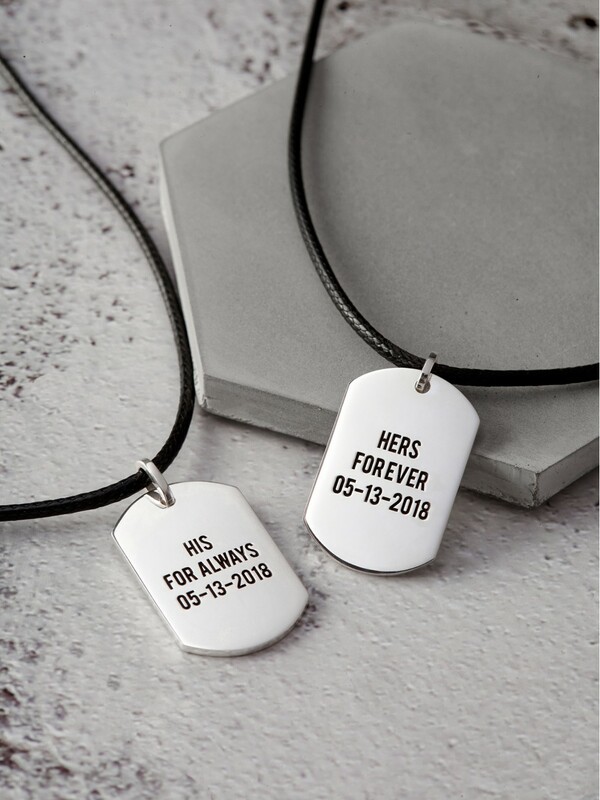 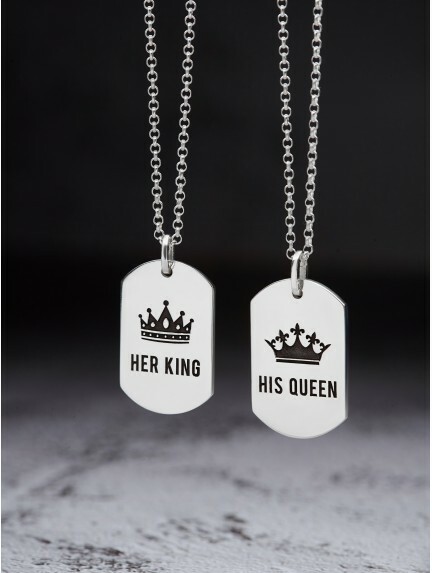 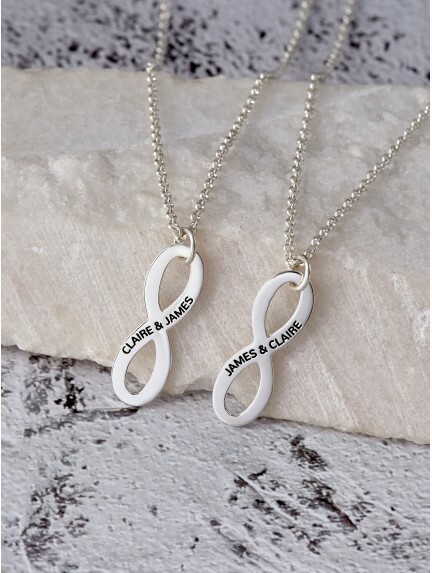 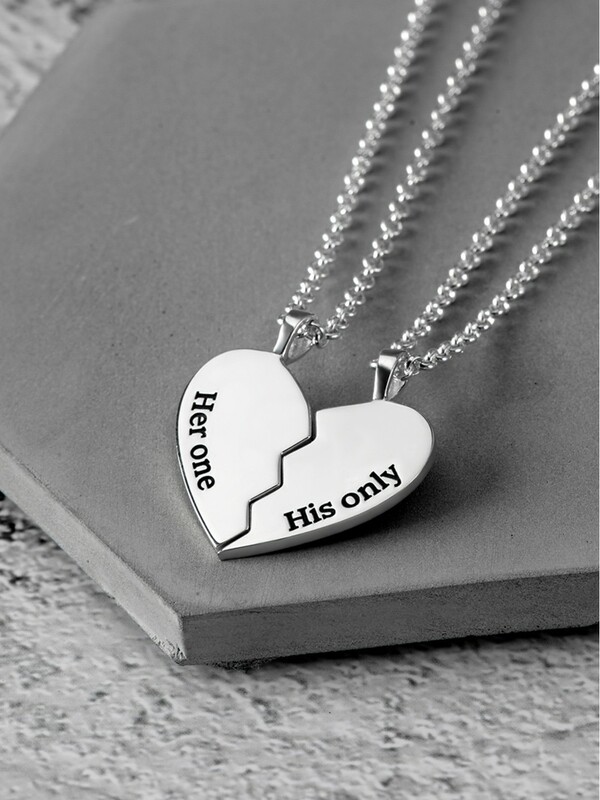 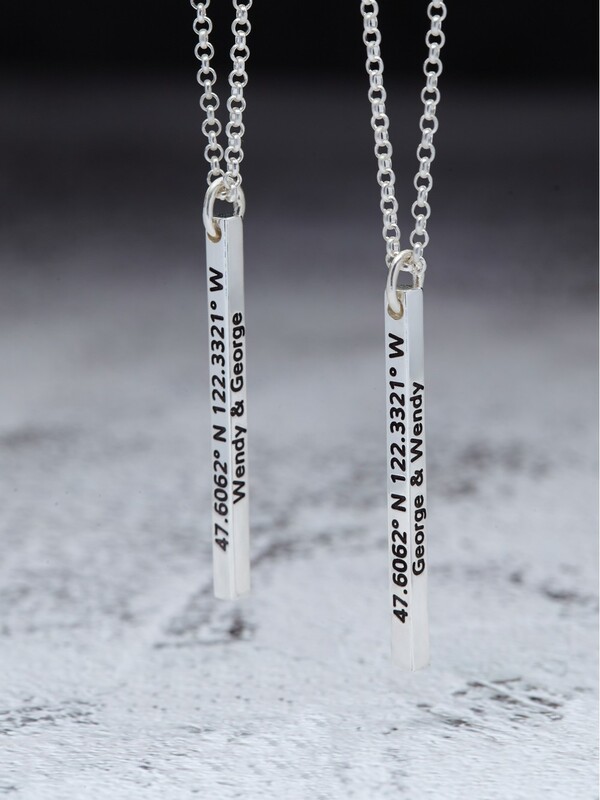 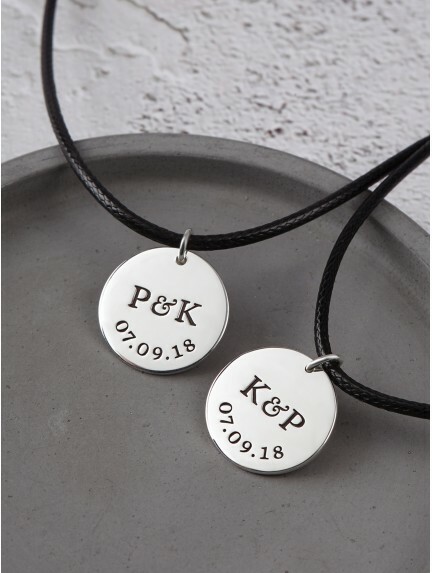 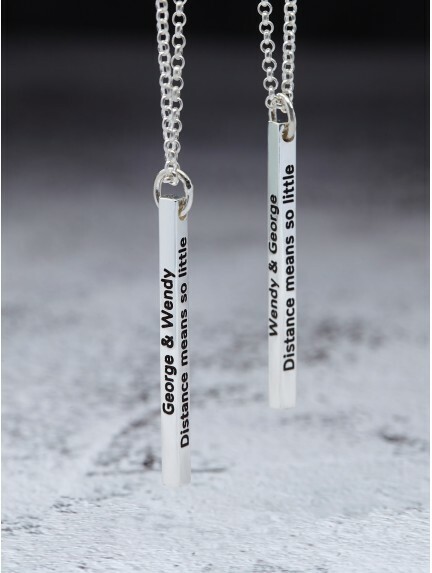 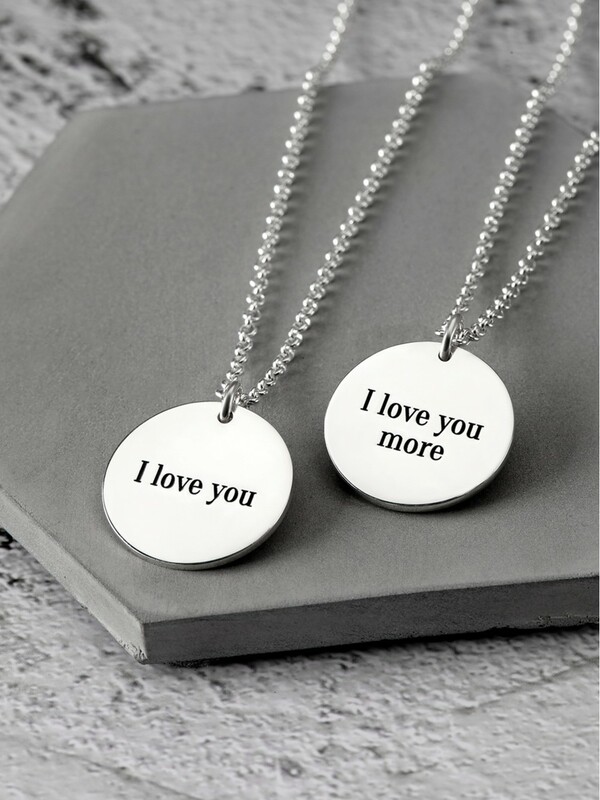 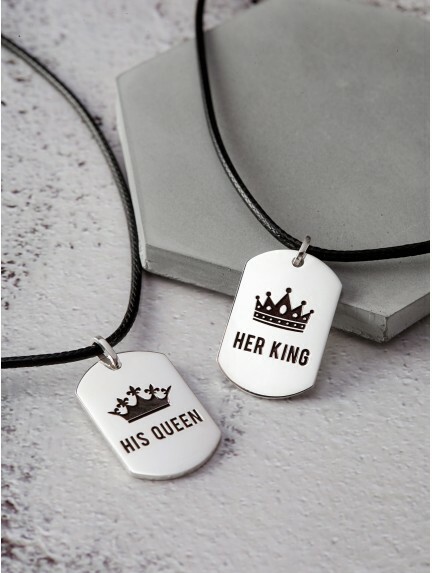 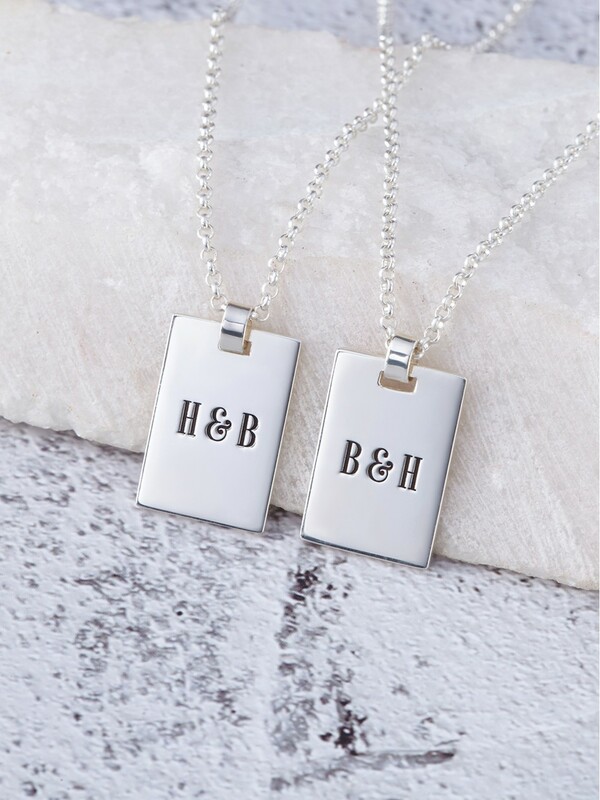 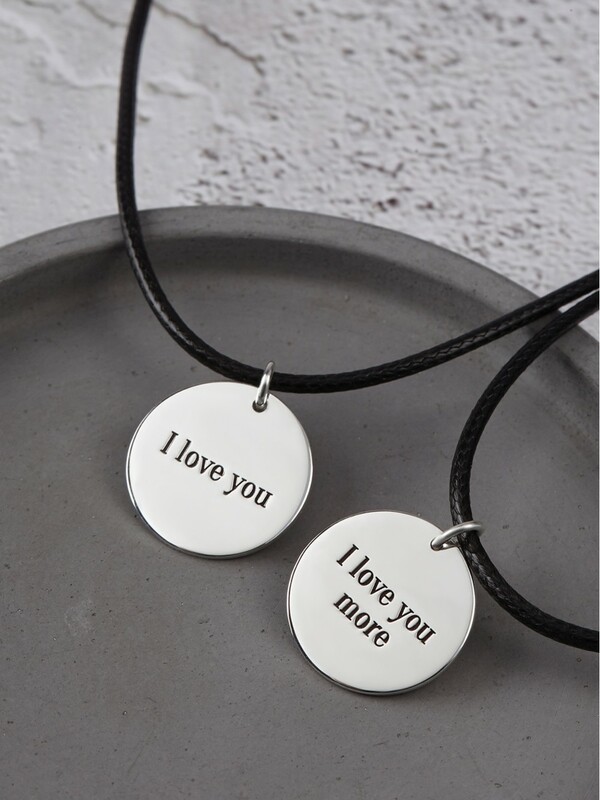 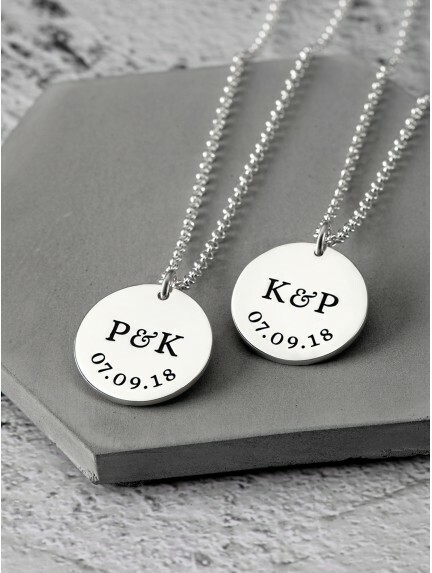 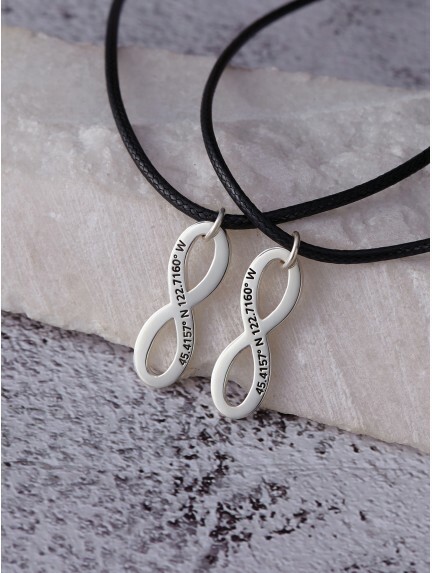 These matching necklaces for couples can be personalized with names or special dates. 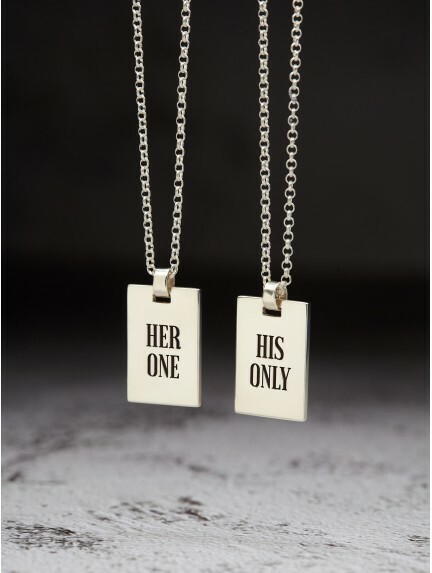 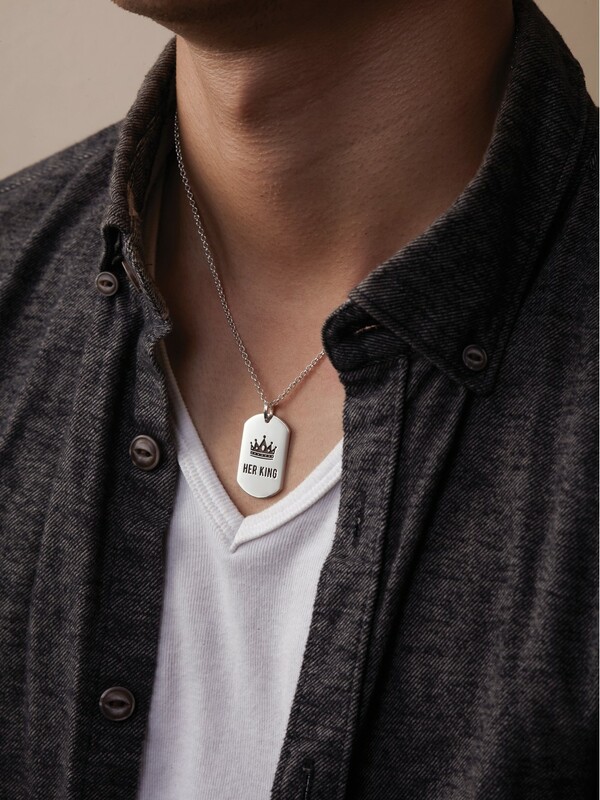 Our relationship necklaces are crafted from 100% sterling silver, with choice for unisex leather cord or rolo sterling silver chain. 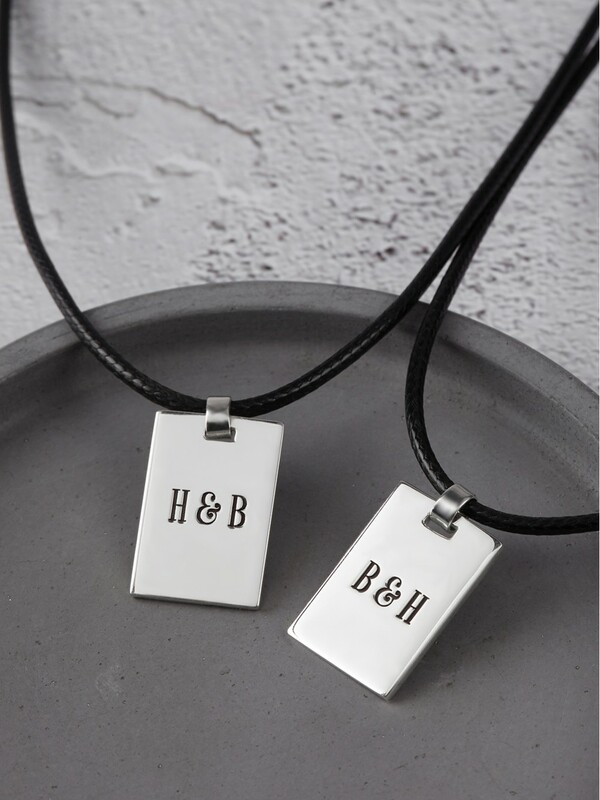 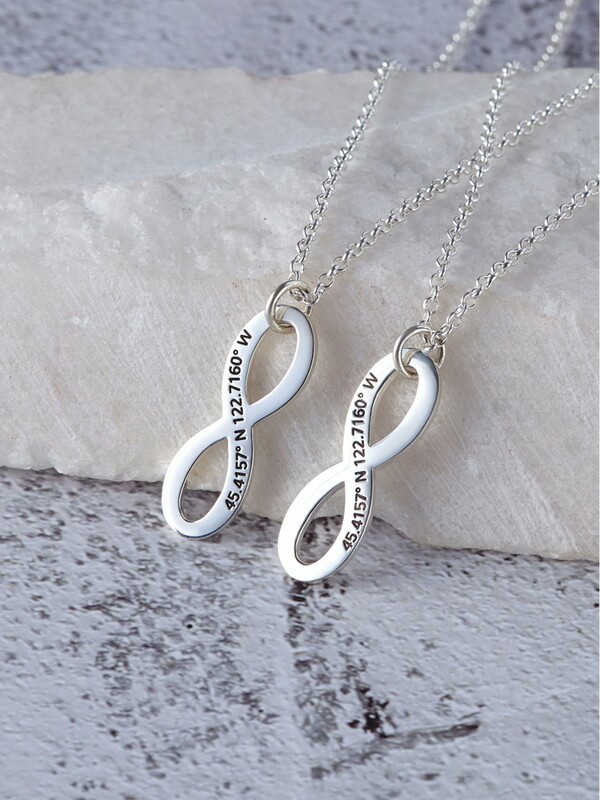 Our engraved boyfriend and girlfriend necklaces make for meaningful Valentines' Day gift that will celebrate your bond.